Kathryn Temple is an inspiring and energising MSc Business Psychologist, NLP Master and Trainer, and Executive Coach. As the winner of the 2008 Business Person of the Year Award, and a finalist in the 2009 Business with Community Impact, Kath is passionate about making a difference and leaving a legacy of lasting social change. As a lifelong learner herself, psychologist Kathryn Temple launched The Lifelong Learning Company in 1995. Kath worked in media and PR for Tenneco, Alcan’s High Duty Alloys, and BNFL at Sellafield, representing her companies on TV, radio and with high profile visitors such as the Queen, Prime Minister and senior government officials. She also freelanced for BBC Radio Cumbria and had her own phone-in Newsline show at BNFL. Following a move from the Lake District to Suffolk, Kath worked for Suffolk Education, Norfolk Education, and the Department for Education & Science. She was appointed by the Secretary of State for Education to the Special Educational Needs & Disability Tribunal as one of the first 69 Specialist Members for England & Wales. 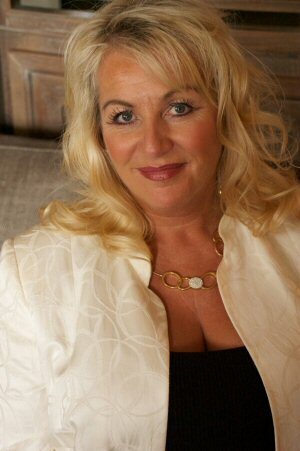 She has assisted NLP’s co-developer, Dr Richard Bandler and Paul McKenna, who regularly refers clients to her. As well as her psychology and NLP qualifications, Kath is a solution-focused psychotherapist, hypnotherapist, EFT Trainer and EFT Advanced Practitioner. She has a clinic at The Saxon Centre in Suffolk where she has private and NHS clients. Kath talks to the3rdi magazine. What is my life’s work about? I help my clients create happy success and better results for themselves and their businesses. There’s heart and soul in everything I do, and I’m passionate about making a real difference, whether that’s with an individual, a team, or a whole organisation. My mission and purpose is to use my energy, experience and expertise to influence and inspire people to live their best lives, create happy success and authentic, sustainable business. I encourage people to be outstanding in whatever it is they choose to do with their one wild and precious life. I love designing and delivering innovative, energising and inspiring leading edge training, coaching, and well-being services for corporate clients, SME’s, and within health, education, social services, emergency services, and the voluntary sector. In addition to working nationally and internationally, I also enjoy running open courses on Suffolk’s sunrise coast, Britain’s most easterly point, where I offer accredited trainings to Masters level in NLP, Business Masters NLP, EFT, Hypnotherapy, and I run the Graduate Certificate in Coaching, and the Post-Graduate Diploma in Coaching too. Some of our clients include The Environment Agency, NHS, Everest, DHL, GlaxoSmithKline, BT, Bristol Myers Squibb, Age Concern England, Sure Start, MoD, Enterprising Women’s Network, Prowess, Syfer Technology, HMPS, Schlumberger Essentis, Women’s Enterprise Centre of Expertise, DfES, East of England Regional Assembly, Cooper Bearings Group, MIND, Federation of Image Consultants, and many more. I’m in my wisdom years, and as a mother and grandmother, my timeline now extends way beyond my own life. I know, and remind my clients, that no-one ever conquers Everest without a good base camp. Their relationships with family and friends provide their base camp, and those relationships need to be honoured and valued. That which we appreciate, appreciates as my lovely friend Dr Robert Holden says. Family, friends and my meaningful work sustain me, inspire me, energise me, and keep me on track. I enjoy taking the time to play and have fun with those I love. It keeps me fresh, keeps me young at heart, keeps me healthy too! I’ve worked with too many stressed MDs, CEOs, leaders and managers who, whilst being successful financially and in their business, are short-changing themselves on the happiness front. Success without happiness isn’t really success at all. It’s important to get clear about what success is to you, what your happy success is, that’s the difference that makes the difference. Once you know that, you can use your time and energy to envision, strategise, goal-set, and take right action in the direction of your happy success. Sometimes people say they don’t know what success is for them. I get them to tune in to themselves as an energy system, to notice what energises them, to listen to their inner oomph – the inner yeeehaaa I call it! – and to follow it. It acts like an inner compass to guide you to what, and who, is right for you. It’s also important to know what your values are, and to align your vision and action with those values, so that you know how best to travel to wherever it is you are going with your vision. And I believe that we’re human beings, not human doings, and how we are being as we are doing, is vital. Your state is the gift you give to the world. As I evolve and grow it is important for me to be aligned with my values and vision, and to walk my talk, not just talk the talk. Everything matters, everything counts. For me it is also about aligning my personality with the bigger energy of my spirit and my mission. That’s important to me too. I aim to be the message, to be the change I wish to see. In some ways I think I am what Ralph Waldo Emerson called ‘an Awakener’. There are many sleepwalkers in life, including in the workplace, and often our training and coaching resonates with them in a deeper way, helps them evolve and grow, helps them remember how powerful they are. I get people to think systemically, to be mindful and develop their intentionality, and to know that every time they enter a system, whether that system is the culture at work, or their family, they have the opportunity, the choice, to either collude with that system, and keep it exactly as it is, or to change it. are to change cultures, motivate themselves and others, get in touch with their truths, their authentic voice, and discover and create for themselves and others their happy success. It isn’t about efforting more, it’s about wisdom – what’s the wisest thing to do here, now, at this time. The ancient Egyptians believed that on the gateway to heaven you are only ever asked two questions. The first question is: Have you found joy in your life? And the second question is: Has your life brought joy to others? Find your joy, let your life bring joy to others. I have found the joy in my life, and I believe my life brings joy to others, my family, my friends, my clients, my community, and my world. Through my company, The Lifelong Learning Company, and the work I’ve done with Richard and Paul, I’ve touched tens of thousands of lives. And through my not-for-profit projects, Happiness Magazine, The Happiness Foundation, and World Change Agents, we’ve worked with children and young people, young mums, families, GPs, psychiatrists, mental health workers and psychiatric nurses, business leaders, teachers, headteachers and advisory teachers. The most wonderful thing is not knowing all the ripples and echoes from all of the work done over all the years. We change the future, we change lives. And it isn’t over yet! I was inspired to learn that Louise Hay only started Hay House Publishing when she was 60 – how amazing is that! I’d love to have my own radio show, and create Happiness TV, a tv channel connecting people across the world with inspiration, energy, positivity, and fun with contributions from great minds and thought-leaders right across the globe. And for my 60th birthday celebration I plan to jump on a Harley Davidson and get onto Route 66, riding along beautiful Big Sur in California, right across the Nevada desert to The Grand Canyon and Las Vegas. Vegas of course is a wonderful metaphor. If we can build Las Vegas in the midst of the Nevada desert, get all the water and electricity into it, well what can we not do on this beautiful blue planet! And after Las Vegas route 66 heads on up to Chicago. I’ve a spirit for adventure, it keeps my yeeehaaaa on the up! An international trainer, coach, and social entrepreneur, Kath Temple has run The Lifelong Learning Company, The Happiness Foundation, Happiness Magazine, and World Change Agents. Kath was voted Business Person of the Year 2008, and her company was a finalist in 2009 Business With Community Impact. A mother to three daughters, and grandmother to two gorgeous little granddaughters, positive psychology, well-being and work-life balance has always been important in her life. She has trained with some of the world’s best minds and thought leaders including Dr Richard Bandler, Dr Deepak Chopra, Professor Candace Pert, Dr Bruce Lipton, Dr Caroline Myss, Dr Christiane Northrup, Louise Hay, Dr Robert Holden, Dr Wayne Dyer, Dr David Hamilton, Greg Braden. Kath’s clients include The Environment Agency, NHS, Everest, DHL, GlaxoSmithKline, BT, Bristol Myers Squibb, Age Concern England, Sure Start, MoD, Enterprising Women’s Network, Prowess, Syfer Technology, HMPS, Schlumberger Essentis, Women’s Enterprise Centre of Expertise, DfES, East of England Regional Assembly, and many more.